PA-C Emily Purdy grew up in the small town of Austin located in central Pennsylvania. She grew up with her parents and two brothers one of whom has had Cerebral palsy from childhood. Her brother’s condition is one of the things that initially garnered her interest in medicine. As a child Emily’s mother had medical books which she would often read. Her mom once saw Emily perform surgery on her stuffed animals taking their stuffing out as if they were vital organs. Her mother saw this and knew a career in medicine was in Emily’s future. After completing high school, where Emily was valedictorian of her class, she continued her education at Duquesne University; becoming the first member of her immediate family to attend college. Inspired by her cousin who was a Physician Assistant, Emily decided to enter an accelerated five year Master program to become a Physician Assistant. 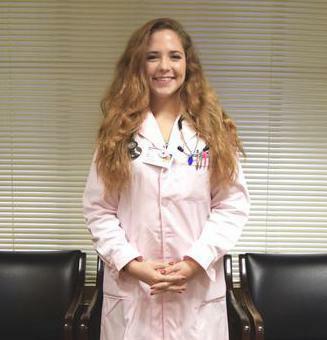 Immediately after graduation, Emily received an offer to work at Sinai Hospital in the Neurology and Neurosurgery Department; where she served for several months. After her time at Sinai, she began working with Dr. Michael Randolph at his practice in Baltimore, Maryland, where she has been since March 2017. In her spare time, Emily loves doing hair and makeup. She says she, "loves bringing people joy by making them feel good; which, is basically what I do in medicine, just in a different way." Emily is also quite the artist, as she painted two murals at her alma mater forever leaving her mark on the school. Emily continues to try and blossom in her medical careeer. She continues to set goals and excel in all that she does. A PA is a physician assistant, sometimes known as a physician extender. Physician assistants are advanced level medical providers. Their duties are very similar to those of doctors. PAs see and treat patients in the same way as doctors with similar expertise.